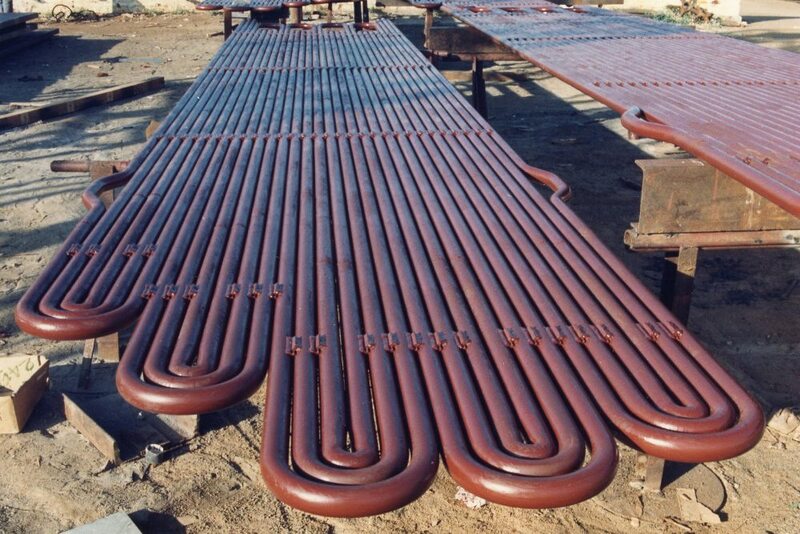 The superheater as the name suggests, enables heating steam above the saturated steam temperature. Steam turbines work most efficiently when steam is completely dry and there is no condensing of steam in the turbine. Superheaters take the saturated steam from the main steam drum and increase its temperature or “superheat”. This is done using small bore tubes normally 38.1mm (1.5inches) to 50.8mm (2inches) in size. 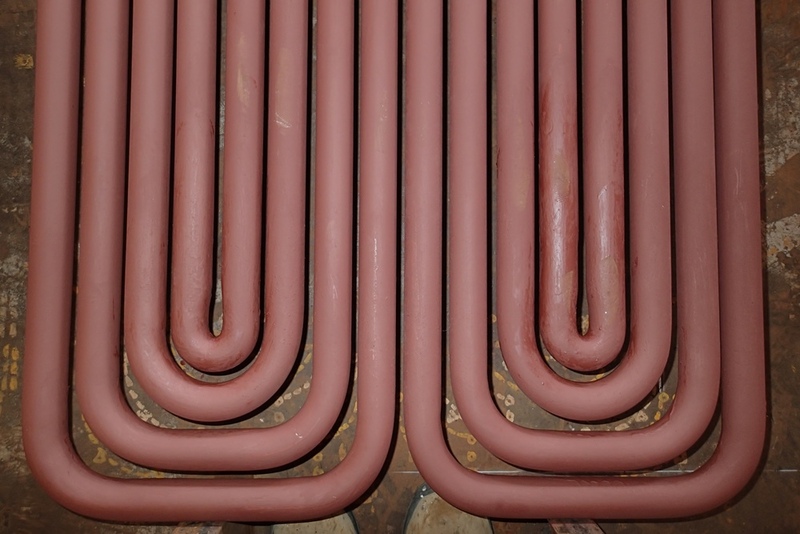 Superheaters & reheaters have the highest metal temperatures of all the pressure parts in the boiler. Consequently, superheater elements have to be made of material having superior high temperature properties and a resistance to oxidation. Carbon steels are suitable for temperatures of up to 450 degree C. As the steam temperature increases, Chrome moly steels of 1%Cr 0.5%Mo, 2.25%Cr 1% Mo, 9%Cr 1%Mo and stainless steels of grades 304H, 310H, 347H are used. For supercritical and ultra supercritical boilers, where the steam pressures and metal temperatures are even higher, new alloys incorporating micro alloying elements of V, Cb, Nb, W and N are used. Where there is a possibility of high temperature fly ash corrosion Ni and Ni-Cr-Co alloys and bi metallic tubes are used. Bi-metallic tubes have an inner core of code material for pressure and an outer layer combating corrosion. Typical combinations for bimetallic superheater tubes are SA210A1/304L and SA210/Alloy625. 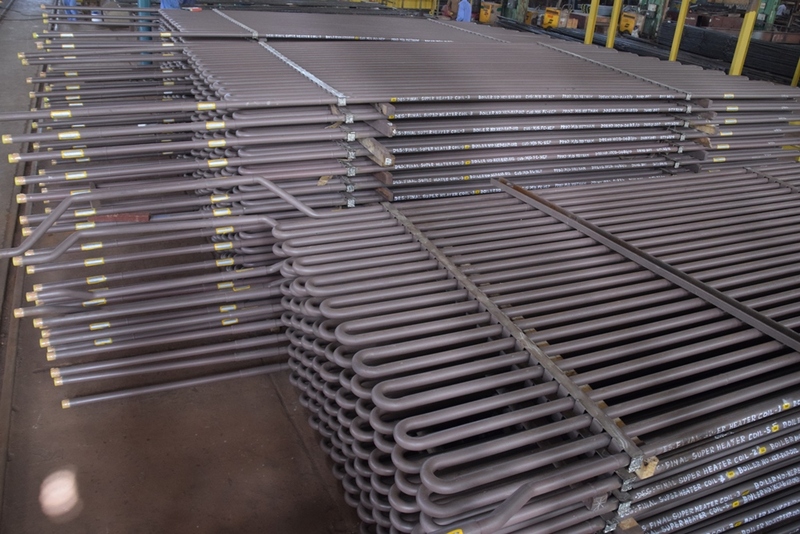 Convective superheaters receive very little heat transfer from radiation and are mostly shielded from the direct radiation of the furnace. Convection heat transfer is highly dependent on the gas flow rates. Therefore at maximum (100%) load, the gas flow rate is the maximum and heat transfer is also maximum. This results in higher steam temperatures and higher boiler output. Some power plants use a combination of Platen ( radiant) and convective ( primary /secondary/ tertiary) superheaters to smooth out the superheat curves and give a flat superheat curve over a wide load range. 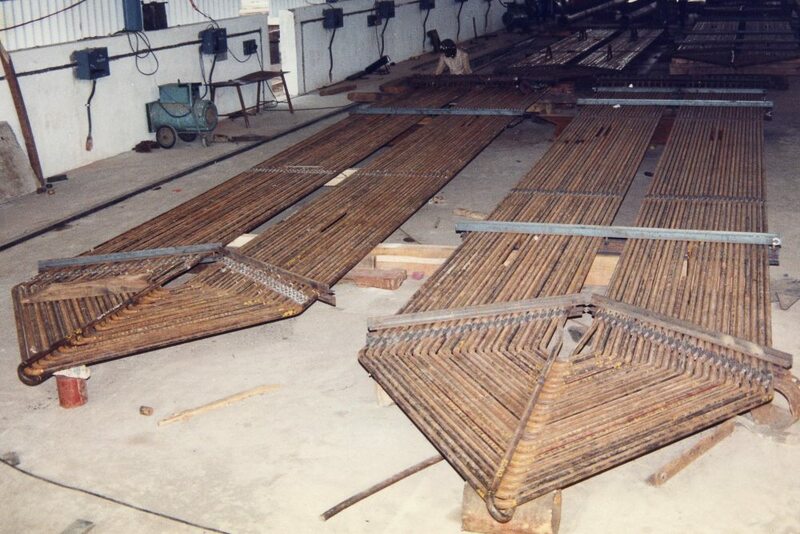 Most superheaters are of a pendant type and are supported above the boiler roof tubes, outside of the hot furnace gases. The elements support themselves in simple tension. 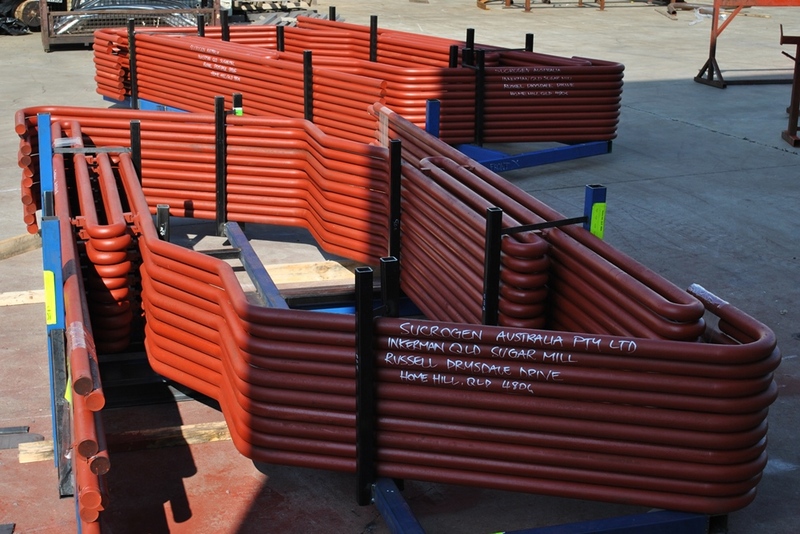 To maintain the spacing between the elements, a steam cooled spacer tube is often incorporated. 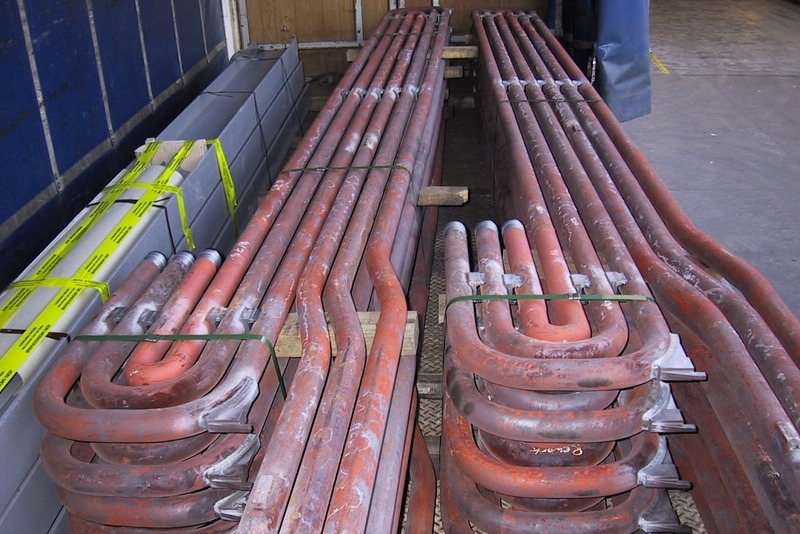 To allow for differential thermal expansion of the super heater tubes and yet maintain the shape of the element, ‘C’ & ‘T’ spacer ties are welded to the superheater tubes. The C&T spacers allow for longitudinal movement, while restraining axial and twisting movements. These spacers are normally investment castings of high temperature stainless steels such as CH20.